The CAW Wraparound is available in 2’ and 4’ lengths in T8 and T5. The unique body design produces a slender and low profile appearance. Suitable for most standard and low density ceiling applications. 100% clear acrylic prismatic diffuser hinges from either side. 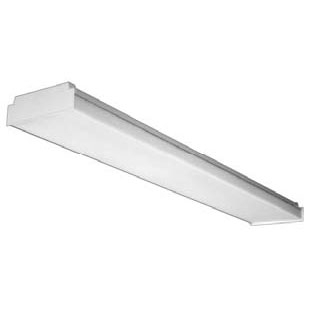 Flat bottom and linear ribbed sides provide excellent light control. 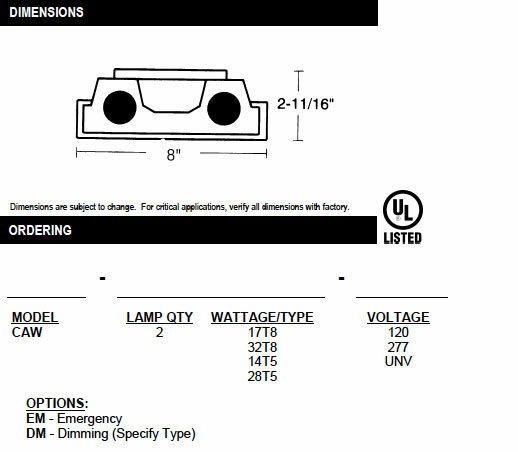 Integral embossed white end plates with flush knockouts make fixtures for individual or continuous row mounting. For pendant or surface mounting. All parts are finished with high gloss baked white enamel with minimum 89% reflectance, applied over iron phosphate pretreatment, for maximum adhesion and rust resistance.